Bang Pae Seafood is a great local restaurant, very hidden on the east coast of Phuket. 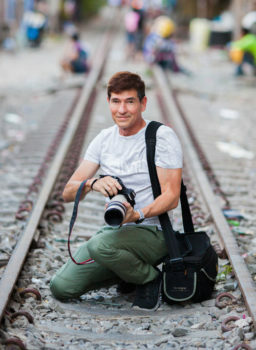 It’s not so easy to find, and yet, it’s busy on weekends with a mix of Thai, expats and some tourists brought by local friends. It is becoming difficult to recommend restaurants in Phuket as there are so many, but very few can fulfil both our requirements: good food and a friendly atmosphere. Something you want to remember and talk about once back home. 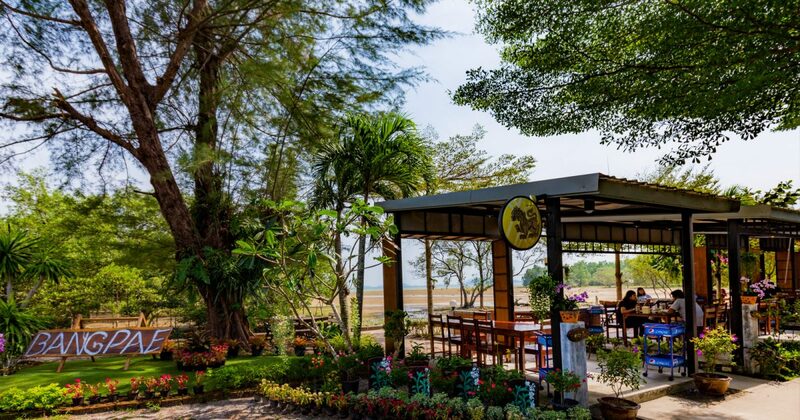 The food at Bang Pae Seafood is excellent; the place is simple but attractive, a perfect choice for a leisurely going Sunday lunch. 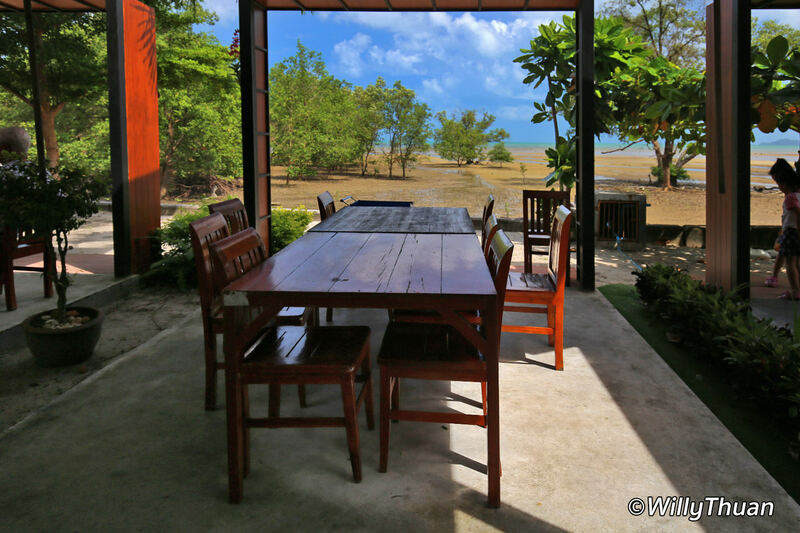 What makes us come back is also the setting, right on the edge of the mangrove with the open sea in the background. 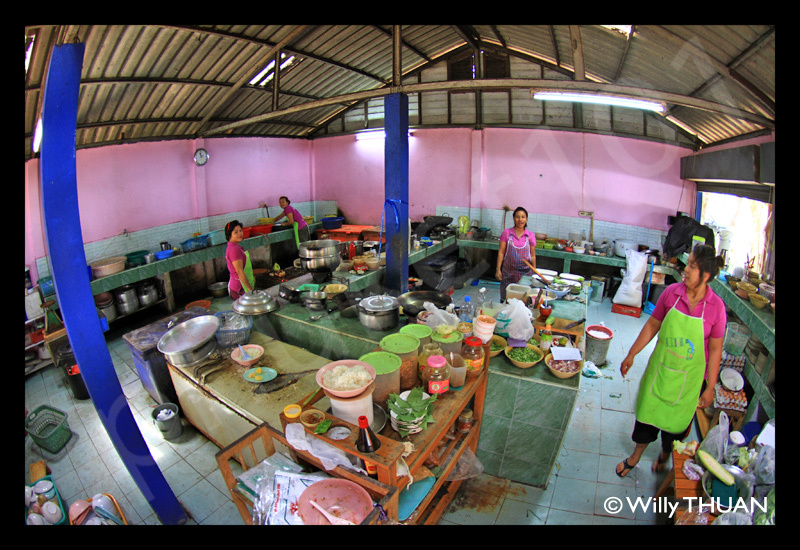 Bang Pae Seafood can get busy and yet there is a sense of peace, and time seems to slow down. 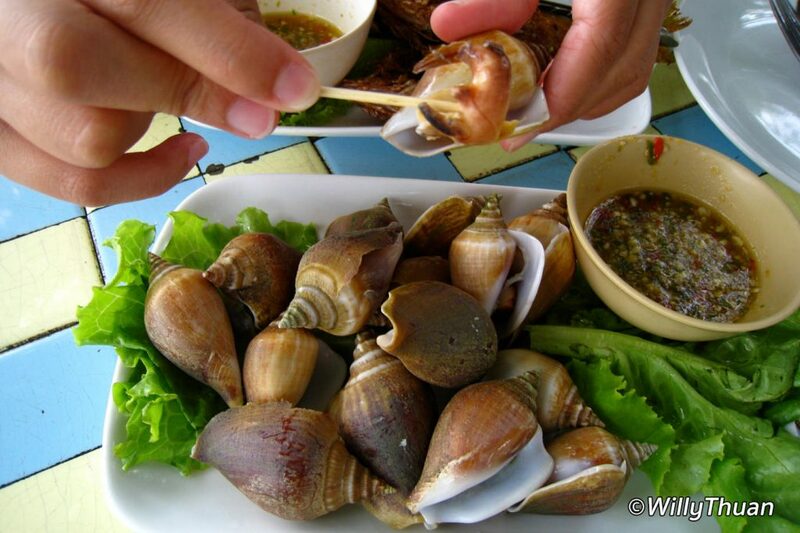 Bang Pae Seafood excels at preparing ‘Poh Tae’ another of our favourite dish. ‘Poh Tae’ means ‘exploded fisherman’s basket’ probably explained by all the ingredients added to it. 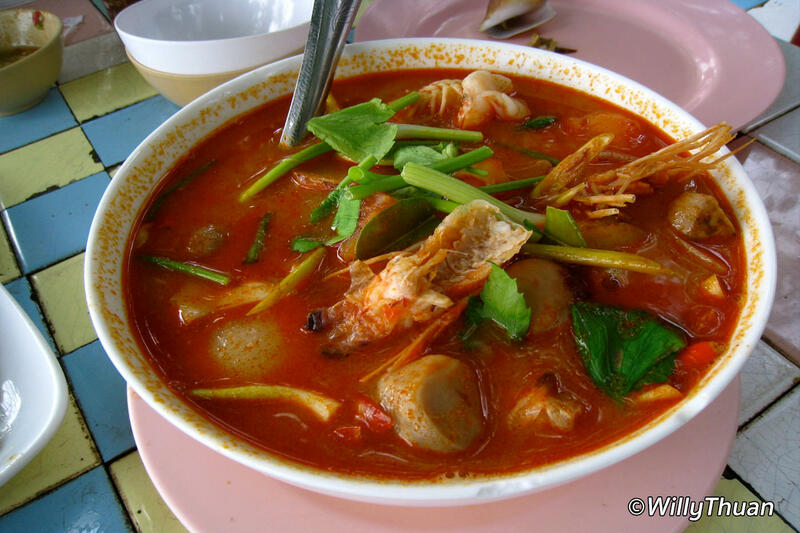 It is a kind of Tom Yam, spicy and sour from lime, but it doesn’t use and chilli paste that makes the usual Tom Yam red. 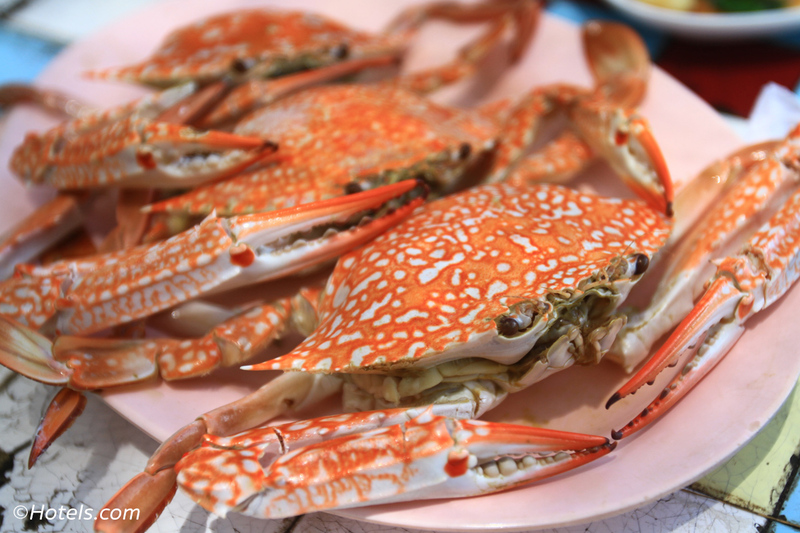 We won’t list all the great seafood available on the menu; there is more than you can eat. As mentioned in a previous story, a good way to wrap a half day in Bang Pae area is to start with the Bang Pae Waterfall, then stop at Bang Pae Seafood on the way back. On the way back from the waterfall, turn left when reaching the main road. Drive 100 meters and look on the right, you will see a large red sign pointing to a small street. Take this road, and drive all the way to the very end, you can’t miss it.